The $10 bln flag carrier beat forecasts with a 148 pct jump in annual earnings. Its overhaul is working, and a plan to absorb regional arm SilkAir looks sensible. There is more to do, but the group can afford to take its time evaluating growth options, including India. Singapore Airlines reported a 148 percent increase in net profit for the financial year to the end of March, lifted by higher revenue from passengers and cargo. The full year profit of S$893 million ($665 million) beat an average market forecast of S$697 million, and marked the highest profit level since 2011. In the fourth quarter, net profit rose to S$182 million, against a S$138 million loss a year ago. 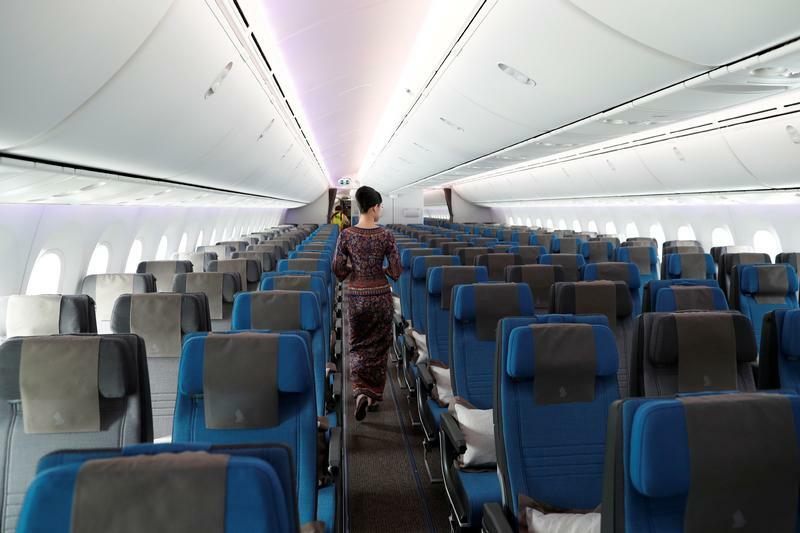 Singapore Airlines said separately on May 18 that fully owned subsidiary SilkAir would see a S$100 million upgrade to cabins, as it moves to merge this regional airline into the main carrier. The city-state’s flag carrier said yields, or the average fare a carrier earns from carrying a passenger for a kilometre, had stabilised, and bookings for the coming months had picked up. But it also said there had been little let-up in cost pressures and competition in key markets. The group said the outlook for demand for cargo was “moderately positive” but subject to uncertainties around global trade.